BT has warned the Labour government that it will take legal action should the state push ahead with its plans to liberalise the UK's mobile phone spectrum. BT wants the UK's wireless spectrum to be auctioned off, in direct opposition to the British government's plans to use it to extend fast wireless broadband services to Brits in rural areas of the UK. Universal access to all to at least 2mbps broadband was a key part of the government's pledge to its citizens in this year's Digital Britain report – and a key pledge that the government might not be able to deliver on, if BT's latest threats to limit access to wireless broadband for all in rural areas become a reality. 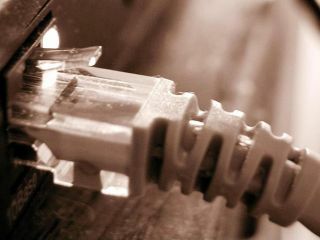 There are considerable numbers of Brits that live in rural areas where fixed-line broadband services will simply not be able to be improved to the required government-pledged levels by 2012, as set out in the Digital Britain report – hence these households will be totally reliant on access to wireless broadband. "Universal access requires changes to the way the airwaves are split between the UK's five mobile phone networks, so they can run mobile broadband services in rural areas where fixed-line services are too slow," reports The Guardian. "It also requires the sale of new space on the spectrum that will be freed-up when the analogue TV signal is switched off in 2012." The five main mobile phone networks' current 3G licences are due to expire in 2021. The government now wants these licenses to be extended indefinitely. BT doesn't, having now sent a "letter before action" to current business secretary, Lord Mandelson, objecting to these plans and threatening a judicial review if they are implemented. "BT has major reservations around the wireless spectrum proposals from the Independent Spectrum Broker," said a BT spokesman.. "The proposal to extend current 3G licenses indefinitely represents a gift of several billion pounds from the UK taxpayer to the mobile operators and is a barrier to competition and innovation in the mobile market." "We would like spectrum to be auctioned in a way that is fair to all operators and stimulates competition in the market for both existing operators and new entrants," he added. "We are discussing our concerns with BIS and are hopeful that these will be addressed."